Polaris Bank Sort Codes – Sort code is a unique bank identity which can be used to locate a branch, identify where a bank account was opened as well used as an en route for transferring money from one bank account to another, be it inter or intra bank transfer. 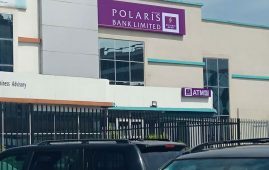 You probably landed on the this blog because you’re really in search of Polaris bank sort codes, targeting a particular branch of this bank, the good news is that the branch sort code you’re searching for is contained in this guide, kindly read down. Having gone through the latest Polaris (Skye) bank sort codes on this guide, if there’s any branch you think is being omitted, kindly identify such and we’ll be glad to confirm and add such to this list.